Content plugins are used in Joomla to display content in your Joomla articles. 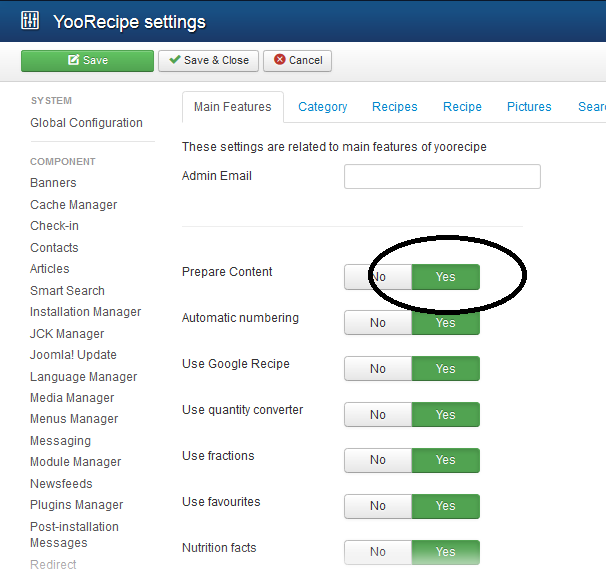 NS Recipes supports any content plugin syntax in the recipe preparation field. As a result, you can display galleries, videos, bookmarks or any type of content. Make sure the Prepare Content option is set. Install and enable YooSocial plugin.